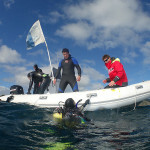 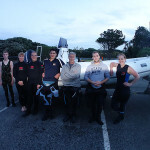 We headed out past Tiri Tiri Island to Shears Rock in the Hauraki Gulf to complete the final 2 dives (Deep and Peak Performance Buoyancy) of an Advanced course. 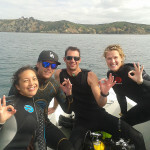 Congratulations to our new PADI Advanced divers Aysha, Dan and Nicole. 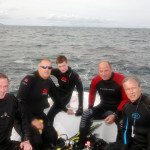 Sunday Diving at the Outpost and Daniels Reef. 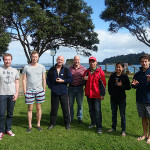 Congratulations to Xinming and Beeli on completing their Padi Advanced Open Water course with their instructor Aaron. 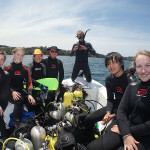 The rest of the team enjoyed a couple of great boat dives to the Outpost and Daniels Reef testing out new gear purchased for this Summers diving. 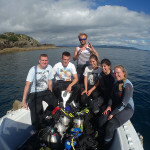 We headed out to Tiri Tiri Island on the first day of Spring to complete a couple the navigation and fish id dives of the Advanced course. 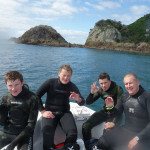 Jack and James made their first dives after completing their Open Water course in August and they are all set for heaps of diving over the Summer.